Whether it is a A/C installation for a new home or you’re looking at replacing your existing central air conditioning, Boyle will visit your house, with no cost or obligation to you, in order to assess your needs and provide you with a free written quotation. 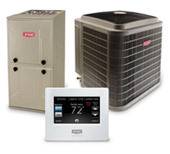 We work with some of the best brands in the business to ensure only quality products are used, and all central air conditioners come with a fully backed product warranty because you’ve chosen to have them installed by qualified HVAC technicians. 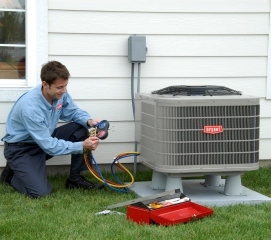 The cost of installing central air conditioning can vary greatly depending on the size of your home and whether or not the unit is replacing an older one, or going in to a new home. That’s why Boyle Heating & Cooling offers free no obligation quotes, to ensure a qualified HVAC professional has properly assessed your needs! ‎I am writing to thank your company and employees for the exceptional service provided to our family and home this past week… although it was after hours, your employees came to the house that evening and were able to locate the break and opened the wall ready for the repair. The next day I believe it was Pat and another employee… completed a complicated and difficult repair… I just wanted you to know how appreciative we are… please extend to them our sincere thanks (to your employees).